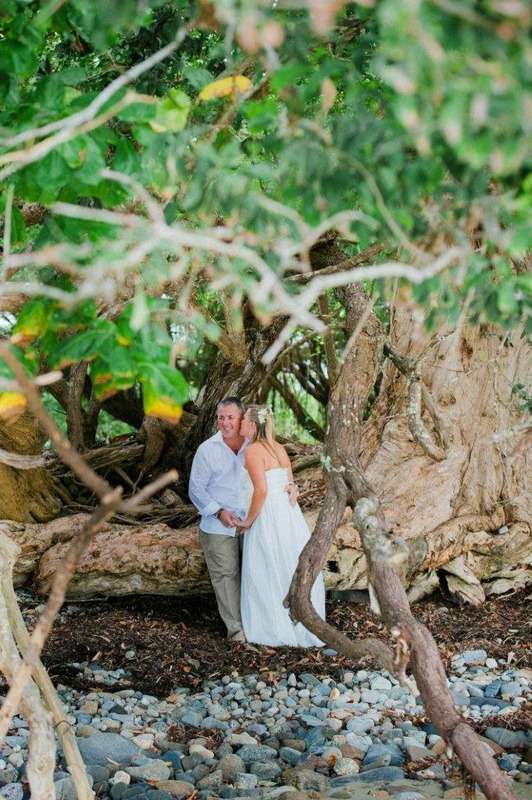 I enjoyed a beautiful little holiday at the very southern tip of the Gold Coast with my husband last week to celebrate our second anniversary, and it was perfect. Very relaxing, very chilled, very little mobile phone or social media use. Perfect. A stroll around Coolangatta which ended up with me sending us in the wrong direction. Ooops! My knees were SO sore. Afternoon drinks and a relax at the Coolangatta Surf Lifesaving Club, looking north to Surfers Paradise. Taking an elevator selfie, I managed to sneak in the front of his shoulder and the back of his head. Doing Dreamworld as adults was kinda fun (until The Claw turned my stomach to mush) and it was cute waiting in ride lines with him, getting nervous and excited! The drive home warranted two EXCELLENT coffees from Kirra cafe, Kirramisu and got us through to Brisbane, where we stopped and rode the CityCat into Southbank for old times’ sake! We do miss living in Brisbane, but we don’t miss Brisbane prices! There you have it. Our very non-photographed four-day, three-night getaway to Coolangatta. Now to start planning for the BIG holiday, the Pacific cruise – only a week until departure! I adore reading regular blog posts. There are a handful of people who I eagerly check to see what’s new in their world, and then there are a bunch of other lovely writers whose posts I save and read when I get the chance. I have a few draft posts in the works at any given time, but they come a distant second to rest and recuperation time, and time with my (often-absent) husband. We’re about to celebrate our second wedding anniversary (hurrah hurrah!) this weekend, and because I’m lucky enough to have married my best friend and favourite person in the world, hanging with him is always what I want to do more than sitting in front of my computer or on my iPad. Gratuitous wedding photo. Almost two years, you guys! So whilst BB is able to come home from work every night to me, instead of spending his evenings in cruddy motels in regional QLD, the blog posts won’t be as frequent. I’m sure you’ll all be fine with that, because I sure am. I’ve got cool stuff and random style blog posts in my head that I want to share with you all, but we’ll get there. Plus, I think I’ve finally mastered the art of curling my hair with a straightener, and I kinda want to boast about it to you all! Soon. Any time I’m on the computer whilst he’s around is generally spent reading and commenting on lovely blogs, and checking travel websites because HOLIDAY. Yup, we’re headed away for a mini-break next weekend, and then in mid-May, it’s cruise time! The kaftan collection is coming together nicely, and I’ve spotted Dove Gradual Tanner on special at Big W, so that’s pretty much my holiday preparation sorted. Now to write a few blog posts to schedule for my absences. Sigh. 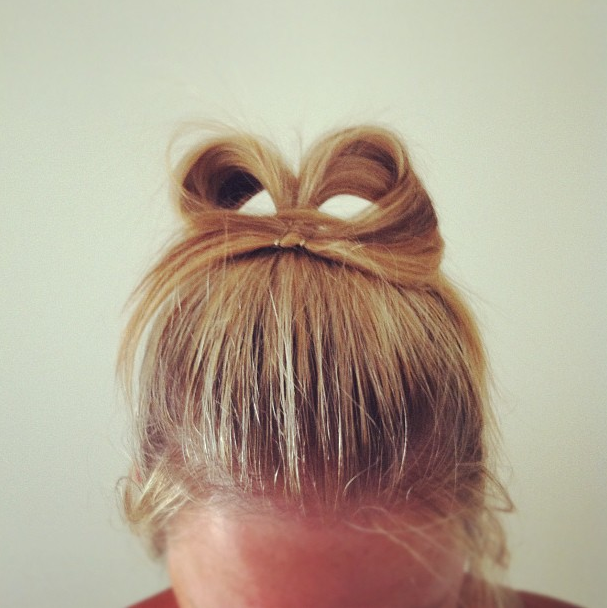 Enter the awesome Fox in Flats Hair Dare! Last year, I only managed to style my hair differently for five days before I resorted to my staple hairstyle, the ponytail. 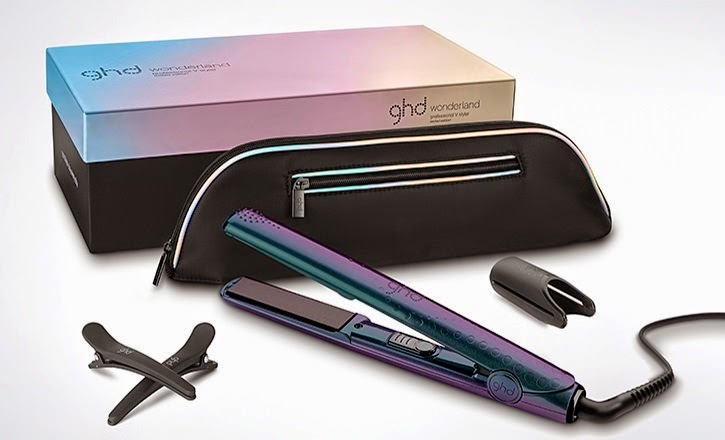 This year I’m determined to nail it, with a little pre-planning, a bunch of hair accessories, and my new favourite hairstyling tool… my new GHD Wonderland Straightener. For my baby-fine poker-straight hair, straighteners have always been slightly unnecessary, and because my hair doesn’t love to hold a curl, it can be pointless me trying to fancy it up with heated hair styling tools. I am standing here before you this morning however, to proclaim that this time, it’ll be different. I am going to get this Hair Dare done, and I will provide you with photographic evidence on the way, as well as a blog post next week showing all the hairstyles I tried (both the successful and not-so-successful)! 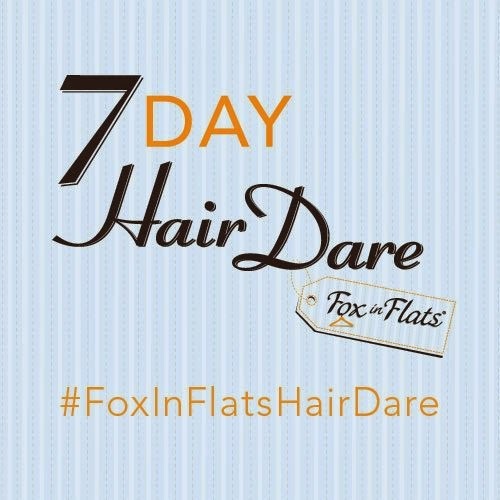 If you’re interested in playing along, you can join in on Facebook, Instagram or your blog, sharing your hairstyle selfies with the hashtag #foxinflatshairdare. I’ve always liked blazers, I have. 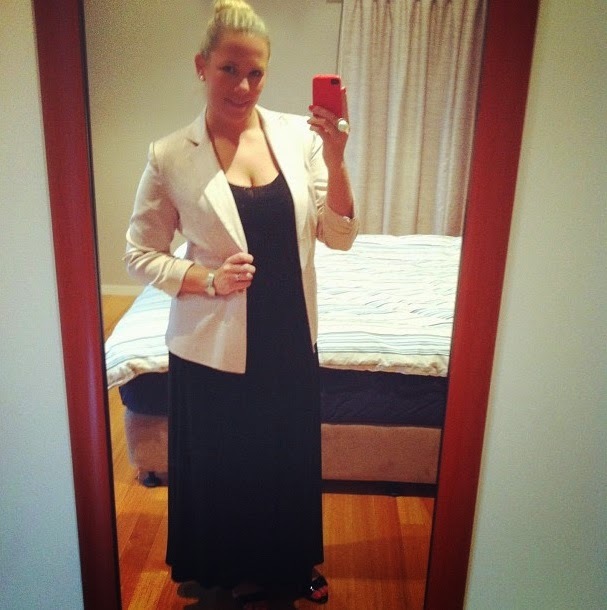 It’s tricky for me to find a blazer that really works for me BECAUSE CURVES but when I do, I definitely get plenty of wear out of it. 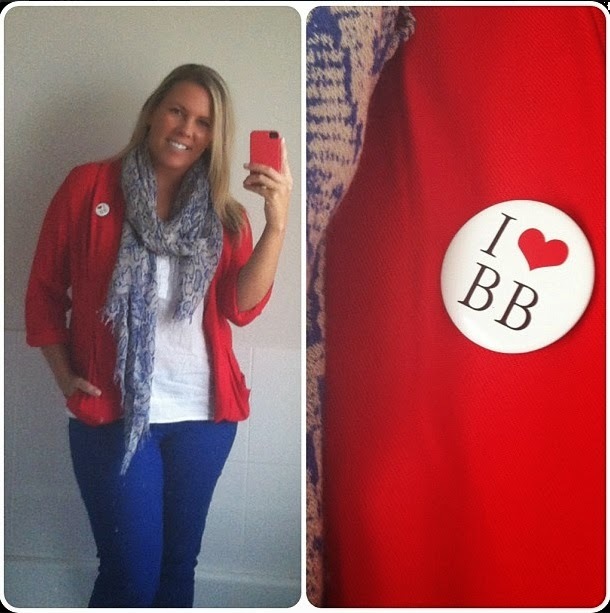 We’re heading into true Autumn wear here in Queensland now, and it’s actually delightful! 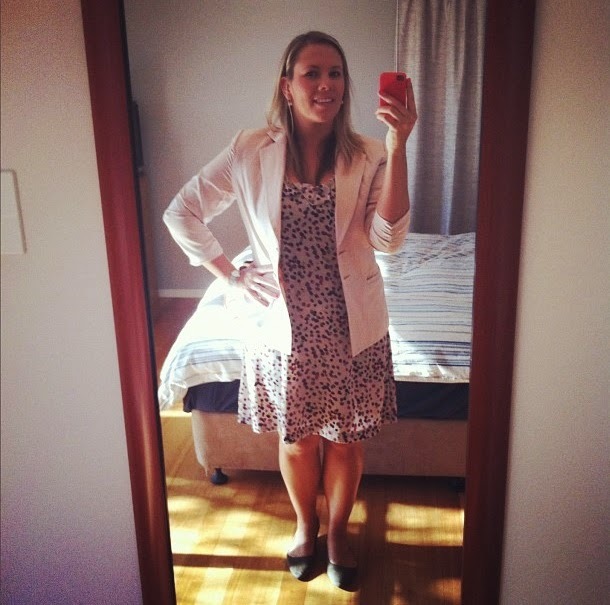 Blazers and light jackets are the perfect in-between-seasons layer for me, but unfortunately, I’m currently working at a women’s activewear store in Noosa, so there is absolutely no reason for me to rock a blazer. Boo. It’s hoodies and sweatshirts all the way. There are a bunch of beautiful lightweight jackets cruising around this season that I really love though, and wish I had the opportunity to wear! 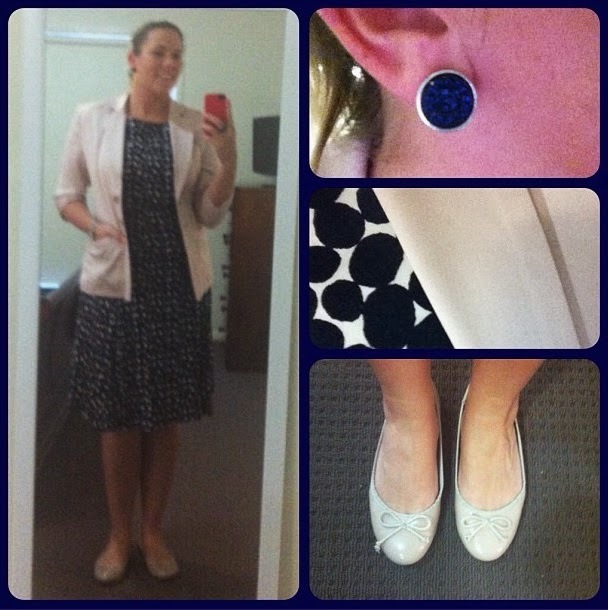 Because I no longer really get the chance to throw on smart casual clothes, I’ve gone through my vault of outfit photos (which is Instagram obviously), and found a few styles that I still really love. See, I used to wear blazers all the time! I’m joining in today with Kimba Likes Wardrobe Wednesday, of course! So, I’ve been playing around on Polyvore again. It’s quite the transient timekiller for me… some weeks I can spend an hour an evening just cruising the enormous wardrobe that Polyvore presents to me, other times I can go for months without even thinking about jumping on to see what’s happening. Polyvore is the old Pinterest. Or does that mean Pinterest is the new Polyvore? They both have their place online, I don’t think I have a favourite. Although for me, Polyvore is less aspirational (read: jealous-making), and more about how I can actually put my own items together, than cruising Pinterest and wanting to cry because I’ll never be as beautiful/thin/rich/up-myself as some of the street-style bloggers I follow. Nor will I own the complete collection of Michael Kors watches that some of those girls seem to have. I own one Michael Kors watch which doesn’t work anymore. Oooh, I have news! BB and I will be heading off on a Pacific cruise in May (don’t get excited, house burglars… we have a housesitter coming to stay, so you needn’t try to break in and steal my singular Michael Kors watch), and I’m really excited about it! As a child, I was fortunate to live in the Solomon Islands for a while with my parents, and I have so many amazing memories of the people and the environment. This cruise isn’t heading to northern Melanesia, but we will be travelling and stopping at various islands in Vanuatu and New Caledonia, which are both famous for having incredibly welcoming locals, and divine beaches. That’s pretty much all I’m after in a holiday, so count me in. I’ll tell you more about the cruise as it gets closer, and I’m definitely open to any and all suggestions about what to pack, what to do on board, and what to look for in a shore trip… so please, if you’ve cruised in the Pacific or anywhere, leave a comment, I’d love to hear your experiences! As there are plenty of excuses to dress up on a cruise (um, has anyone heard of breakfast? or lunch? or quoits? I shall dress up for all of these and more! ), I’m starting to put together a few inspiration outfits and have a play with what’s currently in my wardrobe. I’m determined not to buy items pre-cruise just for the cruise (unless it’s a new pair of bathers), but we’ll see how I go! I’m really getting into the habit of blogging about style and fashion on a Wednesday… who knew I could stick to a schedule? 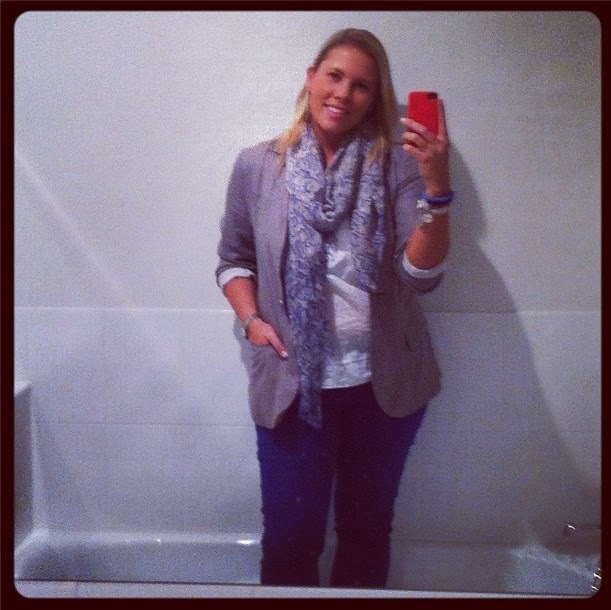 Joining in with Kimba for Wardrobe Wednesday today, so head over and say hi. I’ll be checking everyone’s links out over the weekend for a few new style ideas. And don’t forget to share your cruise tips, pretty please! Home Secret haul, and the lucky winners! After another looooong work week (yes, I know five days is not actually longer than five days, but BOY it can sometimes feel like it), I finally got to have a couple of days off on Sunday and Monday. As I said in a text to a friend at 6pm Saturday, ‘I’m leaving work now, and heading home to PARTAY! And by party, I mean snuggle a bottle of wine on the sofa in my flannelette pyjamas.‘ I didn’t end up snuggling a bottle of wine, my delightful husband was home, so I snuggled him instead. But yes, there was flannelette. I have a bit of a Monday routine now, and it almost always involves my bestie and his mum Peta (that should probably be my bestie Peta and her baby… but I love them equally). We usually enjoy a coffee together, then hit a shop or two to cruise around and check out what’s new, snap a few selfies, then are home early afternoon to do some laundry and run some errands, and yesterday was no different. Peta had visited Home Secret last Thursday for their Grand Opening (and blogged it here – she’s still got Home Secret gift vouchers up for grabs, go check it out! ), but kindly joined me for another trawl through their beautiful big store, and even picked up a few things she’d missed on Thursday! I know people look at us funny when we both decide to sit down on the floor in a store and play with baby Ned, but they’re just jealous. After cutting half a lap through the store, my hands were full of awesome things I’d picked up from the shelves, so I ran back to the entrance and grabbed a trolley. I thought I should probably slow it down and not just get caught up in the OMG there’s a ceramic gorilla and I want this Le Creuset roasting dish in my life NOW, so I pulled up my calculator app and added up what I’d chosen so far. $66. Really? I’d been throwing big-brand kitchenwares and homewares in this trolley without a care, and I was only at $66? Time to let loose and REALLY get carried away. This trolley (full of quiche pans, enamel and ceramic Le Creuset roasting dishes, a tray and a bunch of other miscellaneous awesome things) was $66. Seriously. We finished our trip through Home Secret then moved into the other section of this superstore – Trade Secret. I can’t even tell you how funny some of the photos are that I took of Peta trying on clothes over her tank top and baggy pants. I just can’t even. After looking through both Home Secret and Trade Secret, we were both still fixated on this Sophie Conran for Portmeirion upsized teacup and saucer. I don’t really drink tea any more (and BB would most likely move out if I moved any more teacups or mugs into our kitchen) but I fell in love with it. Hard. There is a whole lot of regret right now that I didn’t buy that teacup. Whilst I know I’ll shop at Home Secret regularly for stuff for our beautiful new home, and especially manchester and kitchenware, I really think Home Secret has one special new purpose… the wedding gift shop. Forget your over-priced David Jones registries, head to Home Secret for current season (I checked!) Vera Wang crockery, Alex Liddy glassware, Marie Claire photo frames, Esprit towels and so much more. And don’t get me started on the sweet children’s stuff that are perfect for newborn gifts or christenings – classic Peter Rabbit china and Royal Albert tea sets? I could die from the cuteness. Yeah, you could say that I was pretty thrilled with my purchases! I honestly just couldn’t believe that you can actually get that much stuff (and quality stuff too!) for such amazing prices. Peta has long been a fan of Trade Secret and their awesome discounts, but I’m only a recent convert, and this was my first giant shop there. See that little fellow in the bottom left-hand corner? I love him so. This was my first big shopping spree in my new car, and I think the bootspace handled it admirably. Unpacking the car at home is one of my least favourite jobs (which is why my old car had seventeen pairs of shoes and a picnic basket rolling around in it), but getting all these goodies out to play with was so much fun! My Home Secret and Trade Secret haul – a grand total of $104.80. Here, I’ll break it down for you, so you can also share in the amazement that all this can be purchased for just over $100. I’ve popped all the kitchenware away in the cupboards, and hung the pretty jumpsuit and accessories in my wardrobe, and the only thing left to do was find a home for gorgeous George. I think he looks pretty perfect next to my bromeliad (still haven’t killed it!) and the sweet pineapple print that my beautiful friend Claire sent to me from Mid Century Child, don’t you? 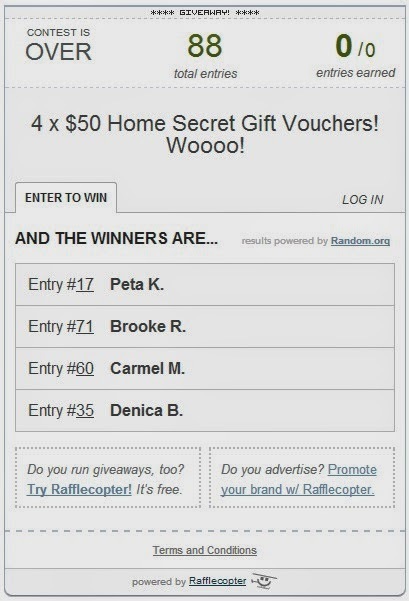 I have drawn the winners of the Home Secret Gift Voucher Giveaway, and the lucky winners are shown below. Congratulations to Peta K, Brooke R, Carmel M and Denica B! I have emailed, so keep an eye out and respond with your postal address ASAP so I can pop these in the mail to you! Thanks so much to Home Secret for sharing these gift vouchers with me to give away, and for providing me with a voucher of my own so I could enjoy a great day out shopping in their beautiful new store! As I’ve mentioned before, I was gifted these gift vouchers, and a voucher of my own, but I do love the good folk at Trade Secret and Home Secret so much that I’d happily spread the word for nothing! I spent some of Monday hanging out with Peta of Trainee Mama, and I managed to get her to take a couple of quick outfit snaps for Styling You’s Everyday Style while we were cruising the Plaza looking for Winter fashion inspiration and icy-cold air conditioning. 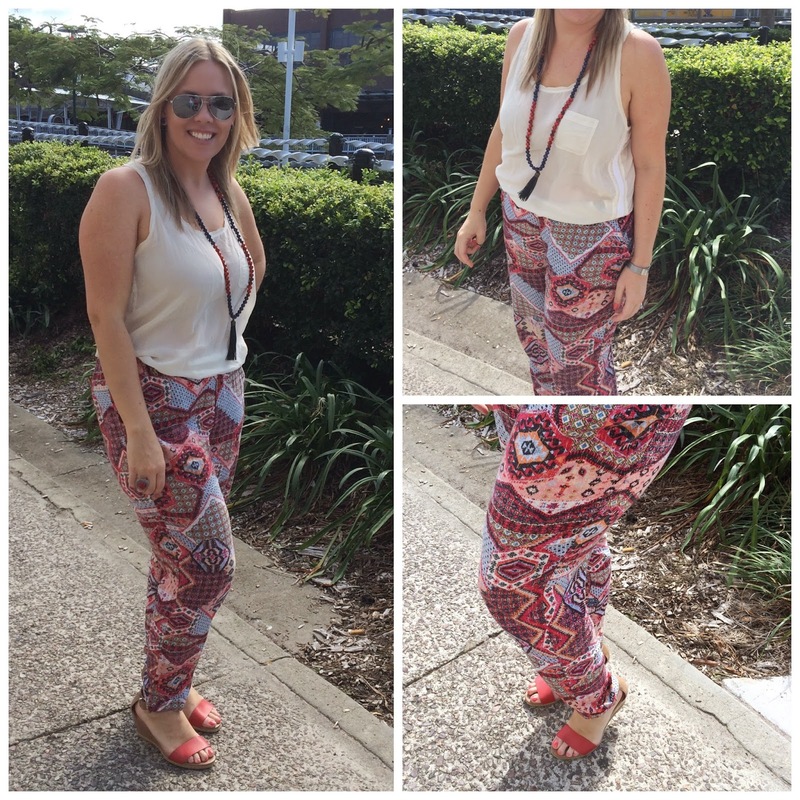 These printed pants were probably the fourth or fifth pair of cotton printed pants that I bought from Katies over Summer (and I ended up with about seven pairs – I got addicted). I snapped them up from a sale rack for under $20, and have worn them so much that I think they work out to have cost less than $1 per wear so far. That’s how I like to think. Cost per wear is so much more important than saving money on something you’ll actually never wear. The print on these was a little too patchworky for me when I first saw them, but the next time I popped instore, I was wearing a coral tank (of course) and tried them on together. Wearing a strong colour on top certainly takes some of the boho style away from these, but wearing them with cream and white has grown on me. And these wedges. Wow, what a bargain. These little tan and red babies were a mid-year sale purchase last Winter, and I snapped up a brown and black pair at the same time, two pairs for a little less than $45, and again, I’ve had a stack of wear out of them! Normally I prefer an all-leather shoe, but these are really well-made, and have a sturdy heel and don’t give me blisters anywhere. 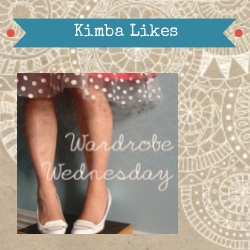 Well, it’s Wednesday, which means hump-day-wine, and also (and slightly more exciting and less anti-social) it means it’s Wardrobe Wednesday over at Kimba Likes. Head over to see what everyone else is up to, and check out what the cool kids are wearing! Also, head to Not Dead Yet Style to check out more amazingly stylish women! Also, don’t forget my awesome Home Secret gift voucher giveaway has only a few days left! Click HERE now to enter! Home Secret Gift Voucher Giveaway! That means that BB and I have been living in our beautiful home for over six whole months now! Whoa! I’ve always been a little into homewares, and enjoying fancying up my space when I was younger (hello Johnny Depp posters and hand-painted sunflower artworks! ), but since owning this home, I’ve definitely been discovering more of my decorating mojo. I’ve been fortunate enough to be invited to the Home Secret Grand Opening this Thursday on the Sunshine Coast, and ohmygosh it looks like it’ll be incredible! You guys know Trade Secret, right? Where you can get super-on-trend styles at literally a fraction of the cost? 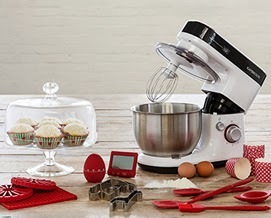 Well, Home Secret is the sister store to Trade Secret, and it’s going to be stocking decor, gift, kitchenware (hello new baking tins! ), bedding and practically everything else you could imagine, and all at amazingly reduced prices! Now for the REALLY good news. To celebrate the opening of the FIRST EVER Home Secret store, I am giving away 4 x $50 Home Secret Gift Vouchers! 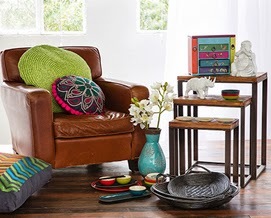 Four lucky locals will win a $50 voucher each to spend instore on all manner of house pretties at Home Secret. Exciting stuff, eh?! (That’s right, it’s the first Home Secret store to ever open, and it’s right here at Kawana on the Sunshine Coast. So if you can’t easily get to the Sunshine Coast, it’s probably not the competition for you. But I have something cool for my lovely (and by all accounts, very attractive worldwide readers soon. Promise.) Entries close midnight Monday 7th April, and winners posted here. Now, this is my first giveaway using Rafflecopter, and I know some folks love it and others… well, don’t. Let’s just see how it goes, eh? Go on, have a go. You gotsta be in it to win it, dontcha? Home Secret has kindly given me these gift vouchers to give away, and has also provided me with a voucher for my own Home Secret shopping, but I like ’em so much that I’d happily spread the word for nothing!